Intel - BX80677G4560 BX80677G4560 Intel Pentium G4560 Dual-Core 3.50GHz 8.00GT s DMI3 3MB L3 Cache Socket LGA1151 Processor. New Retail Factory Sealed With Full Manufacturer Warranty. 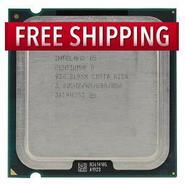 Intel - SR0UF SR0UF Intel Pentium G2120 Dual Core 3.1GHZ 3mb L3 Cache 5GT S Dmi Speed Socket Fclga-1155 22nm 55w Processor. New Bulk Pack. 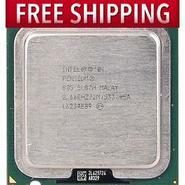 Intel - BX80684G5400 BX80684G5400 Intel Pentium Gold G5400 3.7GHz Dual-Core 4MB - LGA1151 Socket Processor. New Retail Factory Sealed With Full Manufacturer Warranty. 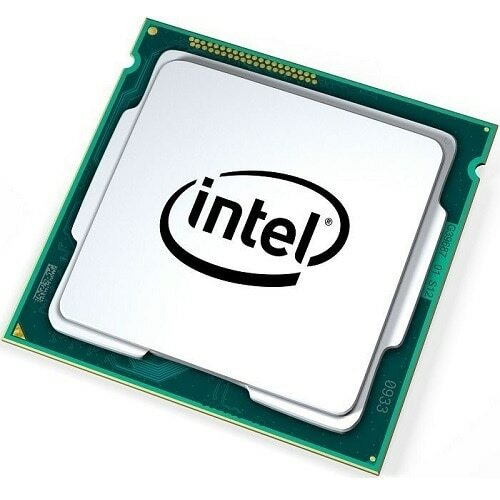 Intel - CM80616004593AE CM80616004593AE Intel - Pentium Dual Core G6950 2.8GHz 3MB Smart Cache 2.5gt S Dmi Socket Fclga-1156 32nm 73w Desktop Processor Only. New Bulk Pack. Intel - BX80662G4500 BX80662G4500 Intel Pentium Dual-Core G4500 3.5GHZ 3MB L3 Cache 8GT S DMI3 Speed Socket FCLGA1151 14NM 51W Desktop Processor. New Bulk Pack. 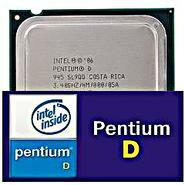 Intel - CM8067702867064 CM8067702867064 Intel Pentium G4560 Dual-Core 3.50GHz 8.00GT S DMI3 3MB L3 Cache 14NM 54W Socket LGA1151 Processor. New Retail Factory Sealed With Full Manufacturer Warranty. 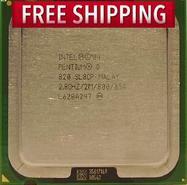 Intel - CM8068403360212 CM8068403360212 Intel Pentium Gold G5400T Dual-Core 3.10GHz 8.00GT s DMI3 4MB Cache Socket Processor. New Retail Factory Sealed With Full Manufacturer Warranty. 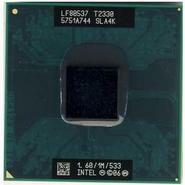 Intel - SLBTG SLBTG Intel Pentium Dual Core G6950 2.8GHz 3MB Smart Cache 2.5GT S Dmi Socket Fclga-1156 32NM 73W Desktop Processor. New Bulk Pack. 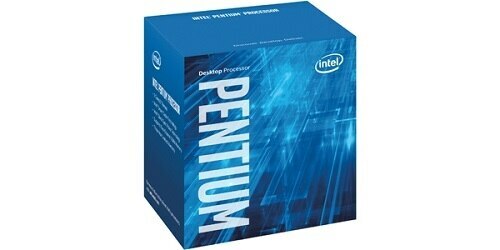 Intel - CM8063701095801 CM8063701095801 Intel pentium dual-core g4500 3.5GHz 3MB l3 cache 8GT s dmi3 speed socket FCLGA1151 14NM 51W desktop processor. New Bulk Pack. Intel - BX80637G2120 BX80637G2120 Intel Pentium G2120 Dual Core 3.1GHz 3MB L3 Cache 5GT S Dmi Speed Socket FCLGA-1155 22NM 55W Processor. New Bulk Pack. Intel - CM8067703016117 CM8067703016117 Intel Pentium G4560T Dual-Core 2.90GHz 8.00GT S DMI3 3MB L3 Cache Socket LGA1151 Pentium 14NM 35W Processor. New Bulk Pack. Intel - SR2HJ SR2HJ Intel Pentium Dual-Core G4500 3.5GHz 3MB L3 Cache 8GT S Dmi3 Speed Socket Fclga1151 14nm 51W Desktop Processor Only. New Bulk Pack. Intel - BX80646G3260 BX80646G3260 Intel Pentium G3260 Dual Core 3.30GHz 5.00GT S DMI2 3MB L3 Cache Socket LGA1150 Desktop Processor. New Bulk Pack. 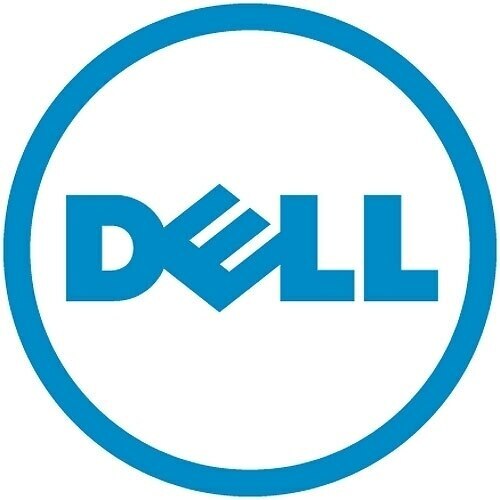 Intel - Inspiron Small Desktop 3000 Series (Intel) 4th Ge Enjoy this affordable desktop upgraded with Intel Pentium processor and enough memory and hard drive space for your basic needs.